Join us for a Private Tour experience with a structured tasting of 4 of our premium VQA wines, including our Vidal Icewine. Enjoy the tasting with a complimentary Artisan Cracker Platter. Enjoy a private guided tour of the vineyard, estate and winery while learning about the history of Konzelmann. 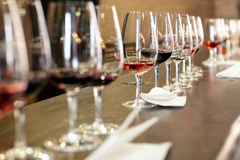 Finish your tour off with a structured tasting of a few of our favourites wines paired with charcuterie plates. 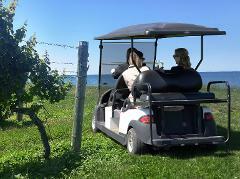 Adventure through our beautiful lakefront vineyard with one of our senior wine consultants as your personal guide and chauffeur.